We're excited to announced that Patrick O’Connell, a multiple James Beard Award winner, three-star Michelin chef, author, and owner of The Inn at Little Washington in Washington, VA, has been named as the recipient of the 2019 James Beard Lifetime Achievement award; and Giving Kitchen, the non-profit organization providing stability for some of the most hard-working and vulnerable members of the food service community, has been named the 2019 James Beard Humanitarian of the Year. The Humanitarian of the Year award is given to an individual or organization whose work in the realm of food has improved the lives of others and benefited society at large. The 2019 recipient, Giving Kitchen, provides emergency assistance to food service workers through financial support and a network of community resources. Giving Kitchen grew out of a beyond-expectation response to the devastating, stage-four cancer diagnosis of chef Ryan Hidinger in December 2012. Ryan was well-known in the Atlanta restaurant community for his work at Bacchanalia, Floataway Café, and Muss & Turner’s. ; he and his wife, Jen, were beloved for their supper club Prelude to Staplehouse, a precursor to opening their dream restaurant. In response to Hidinger’s diagnosis, he received an outpouring of love and financial support to help with his expenses not covered by insurance. Giving Kitchen provides financial assistance to food service workers, based on financial need and a defined set of criteria, through Crisis Grants. They have also created a referral program to serve as a connection to social services for restaurant workers called Stability Network. To date, Giving Kitchen Crisis Grants have supported over 1,500 food service workers in need of emergency assistance. 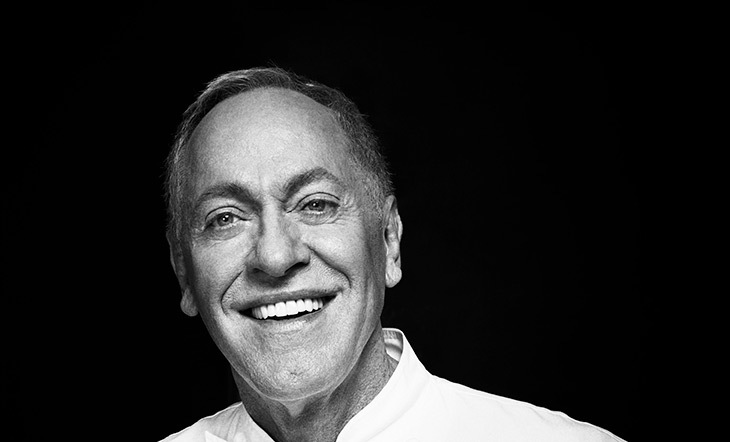 The Lifetime Achievement award is bestowed upon a person in the industry whose lifetime body of work has had a positive and long-lasting impact on the way we eat, cook, and think about food in America. O’Connell, a native of Washington, D.C., is a self-taught chef who pioneered the movement to offer refined, regional American cuisine in the Virginia countryside. His alliance with local farmers and artisanal producers was an adaptation born of necessity more than 40 years ago when nothing but milk was delivered to the tiny town of “Little” Washington, VA (pop. 133). Long before the farm-to-table movement had a name, he began cultivating fruitful relationships with his neighbors—many of whom have a strong connection to the land. He has leveraged his career milestones to benefit national and global charity initiatives with organizations such as Share Our Strength and Population Services International. Patrick O’Connell and Giving Kitchen will be honored at this year’s James Beard Awards on Monday, May 6, 2019, at Lyric Opera of Chicago.